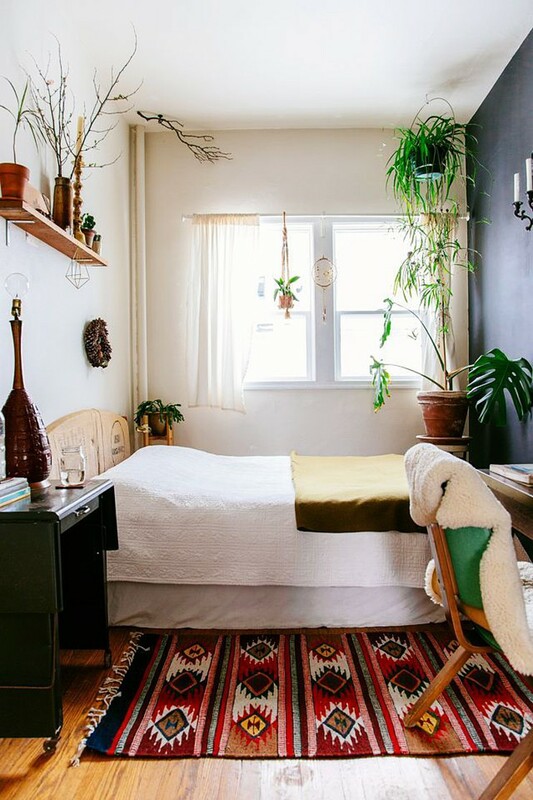 This cozy little nook really is filled with bohemian style, in all kinds of ways. 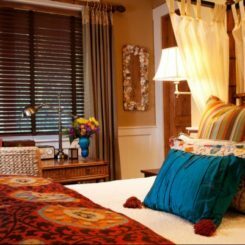 From the multiple tapestries hanging from the ceiling to the intricate beadwork on the throw pillows, there’s a lot to get excited about here. 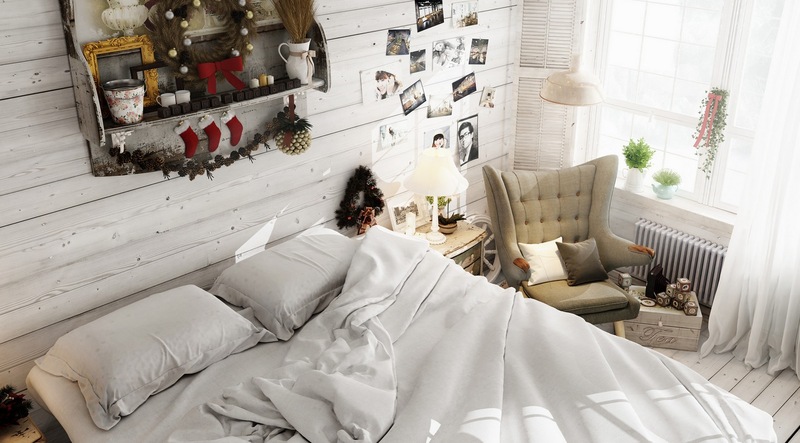 The neutral bedding contrasts well with all of the accents around it, making for a truly cozy place to rest your head. 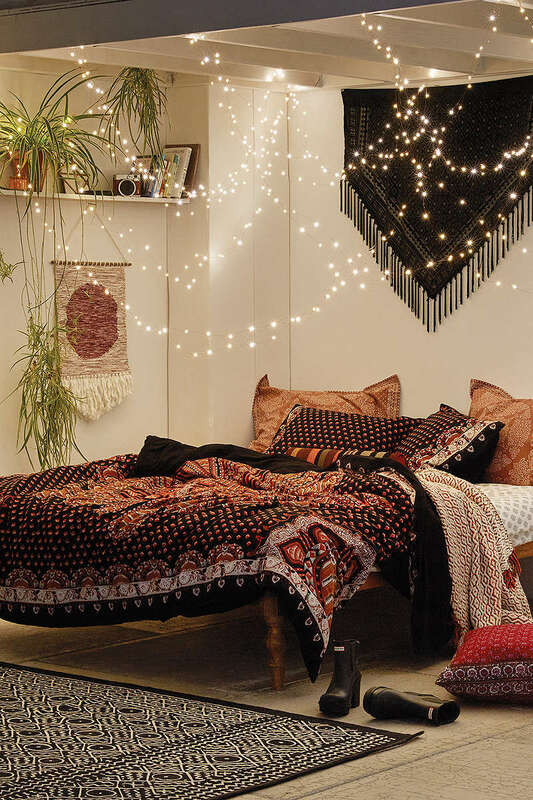 For an extra bit of whimsy, take a note from Urban Outfitters book and don some twinkle lights around the room. 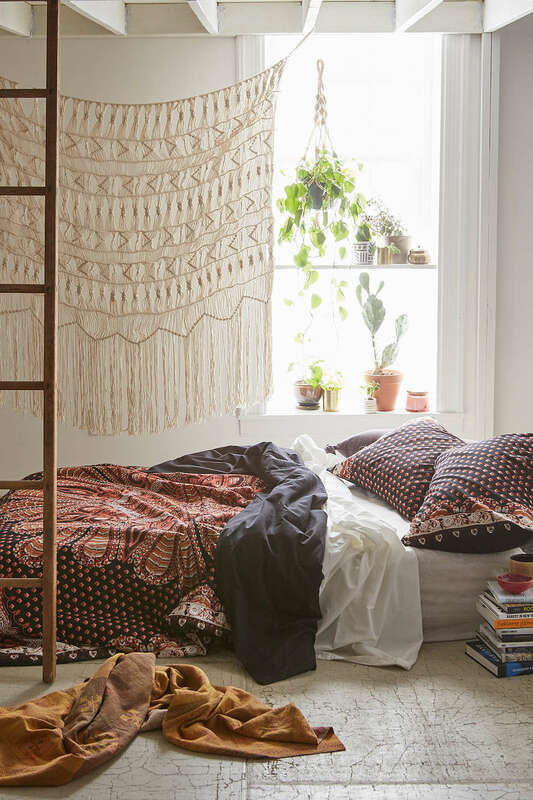 Paired with patterned bedding and deep, earth tones, you’ll create a room that’s both boho and relaxing. 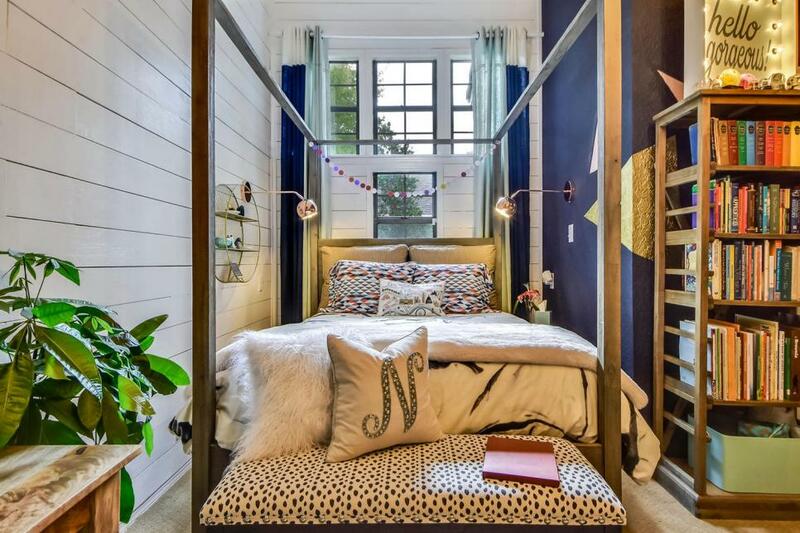 There’s a magical bit of flair inside this bedroom that’s really appealing to all who wander inside. 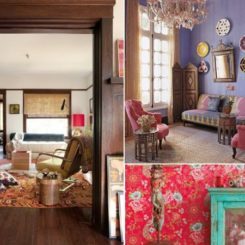 Go all out with the bright tones when creating your bohemian abode, but pay attention to the details. 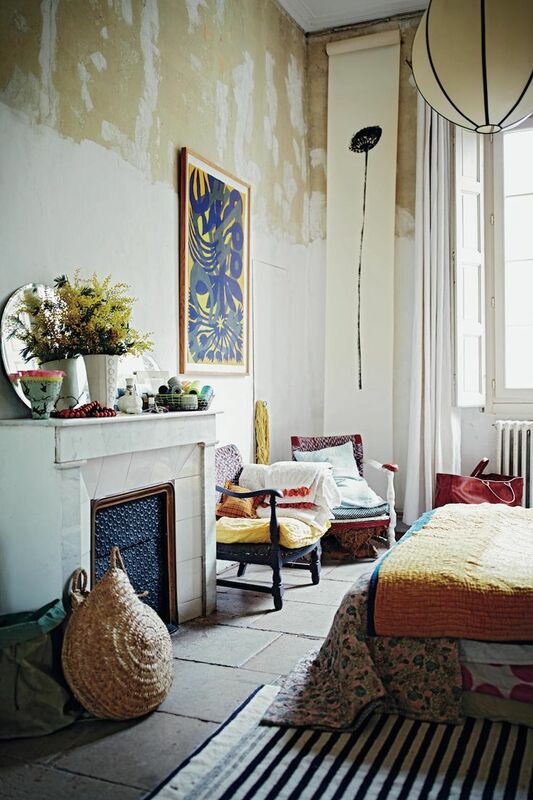 Go for prints and distressed styles as a way of incorporating that eclectic and easy spirit. 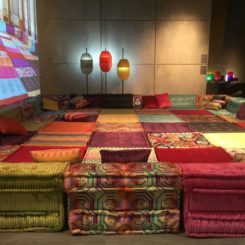 This find from Decordemon gives us a crisper take on the hippie-infused design we’re used to. 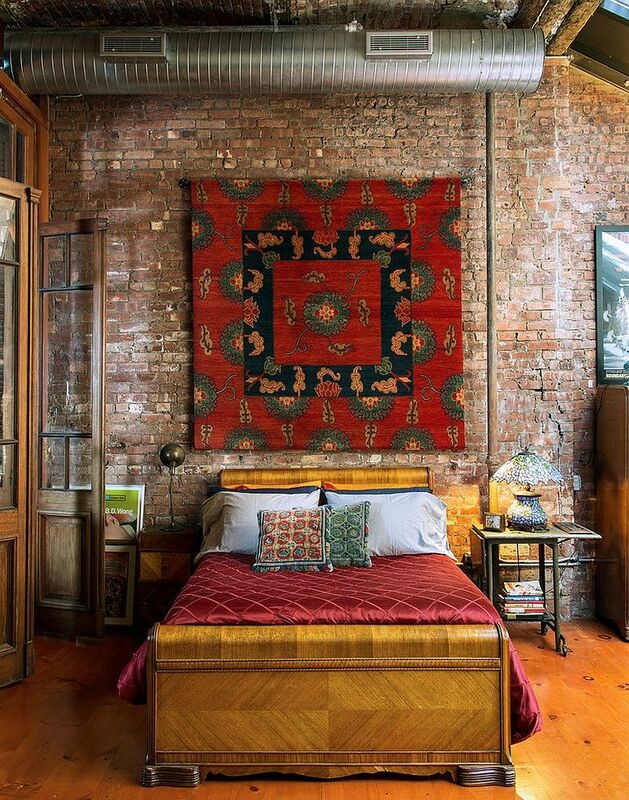 This gorgeous bedroom combines both bohemian flair with rustic value. 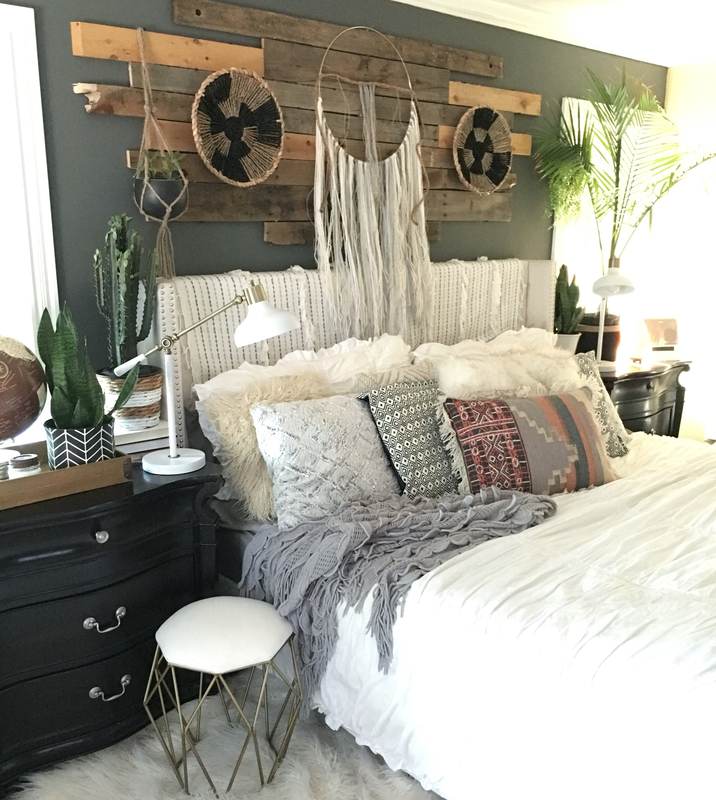 All of those wooden furniture pieces are dressed so beautifully alongside the earthy tones and textures of the room. 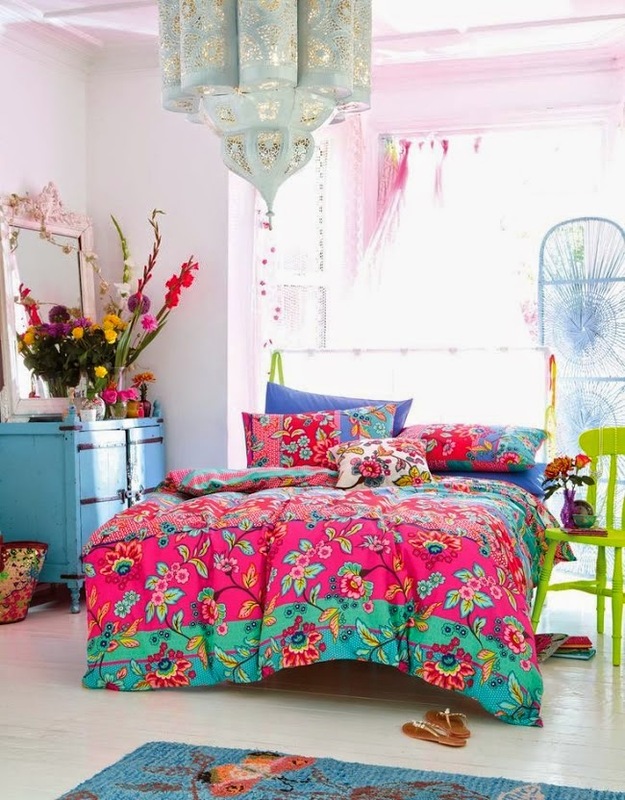 Those bohemian prints are also taking center stage offering up both interesting and interior design worth. 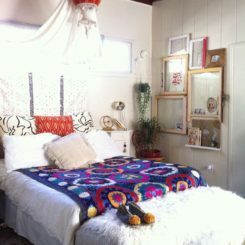 Thou Swell showed off a boho bedroom with a definite modern twist. 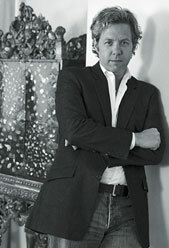 It’s green, black and white color palette speaks to that timeless, classic fashion. 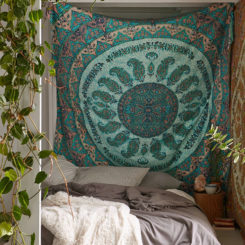 But it’s organic nuances and homage to the outdoors fits the hippie-flavored bill quite nicely. 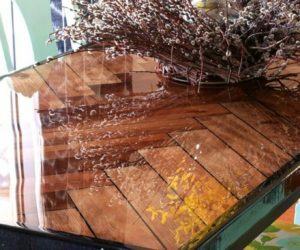 Check out this gorgeous setup we found over at Maggie Overby Studios. 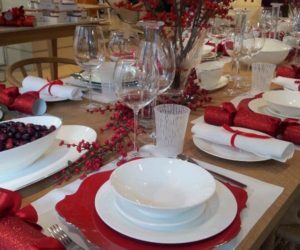 The cranberry and emerald green tones play beautifully together. 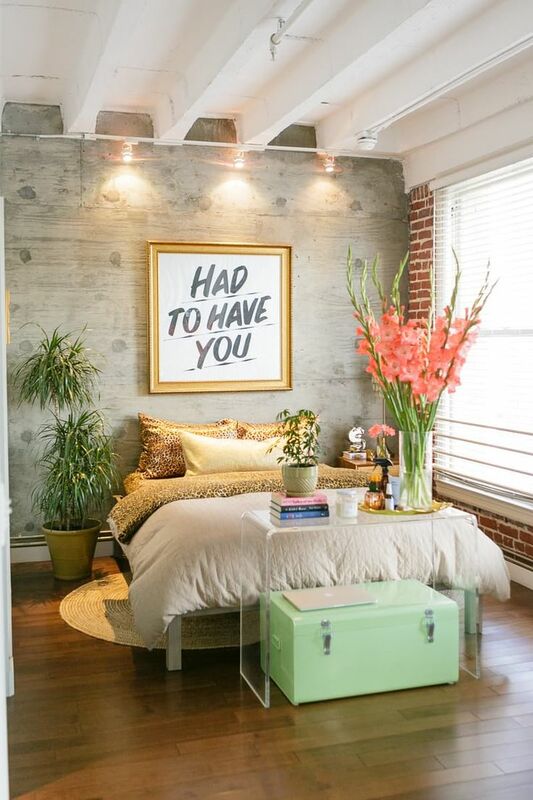 The starburst over the bed adds an air of modern art that we’re loving too. 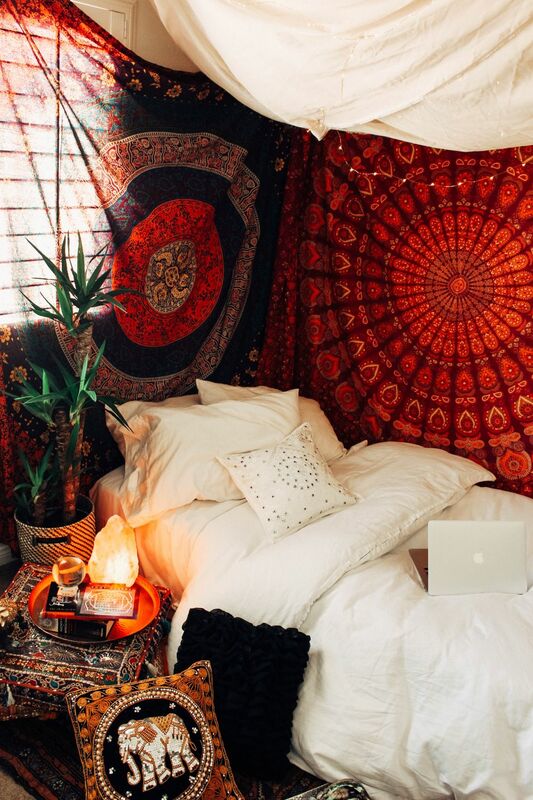 But the boho flair comes out in the way the fabrics and prints blend so nicely. 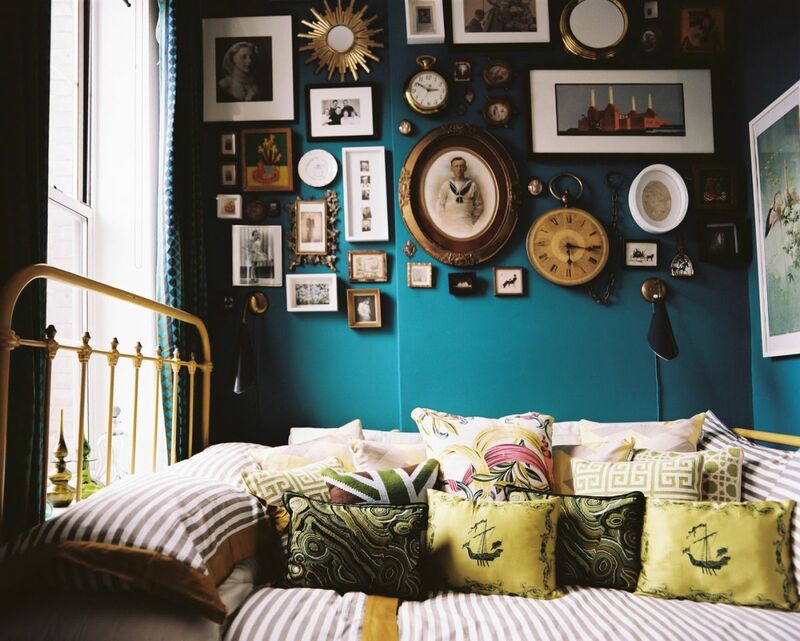 A collection of vintage photos on the wall with chartreuse and teal tones popping out of every corner, this room from Lonny makes quite the scene. 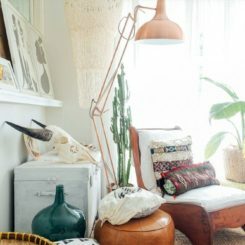 It’s eclectic, free nature shows off its boho vision while all of those antique accents on the walls give it a unique charm and grander personality. 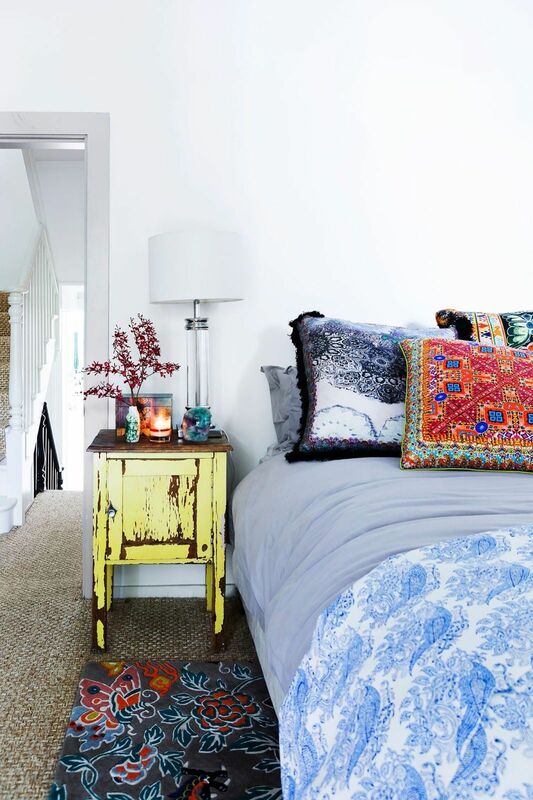 We love all the mixing and matching happening in this small space! 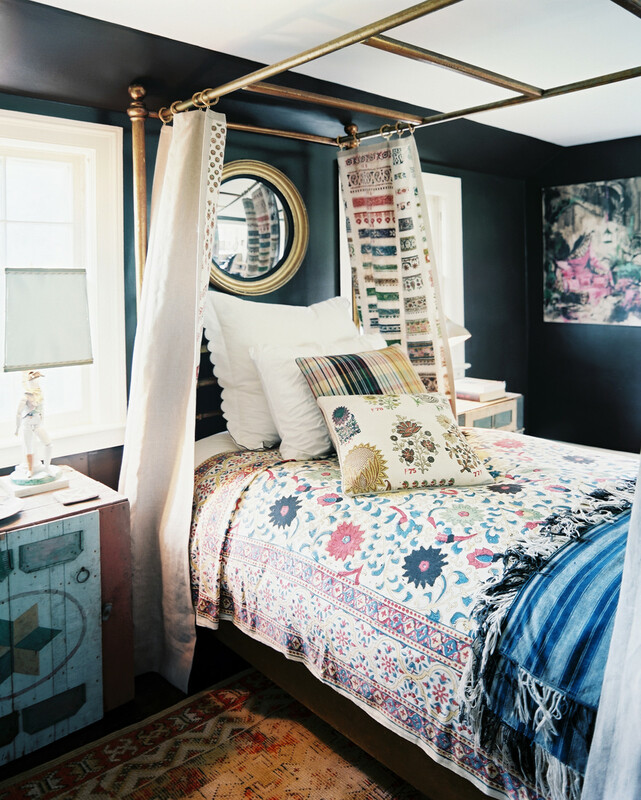 Yes, even a classic black and white room – with a pop of royal blue – can shape into something that’s a bit more bohemian. 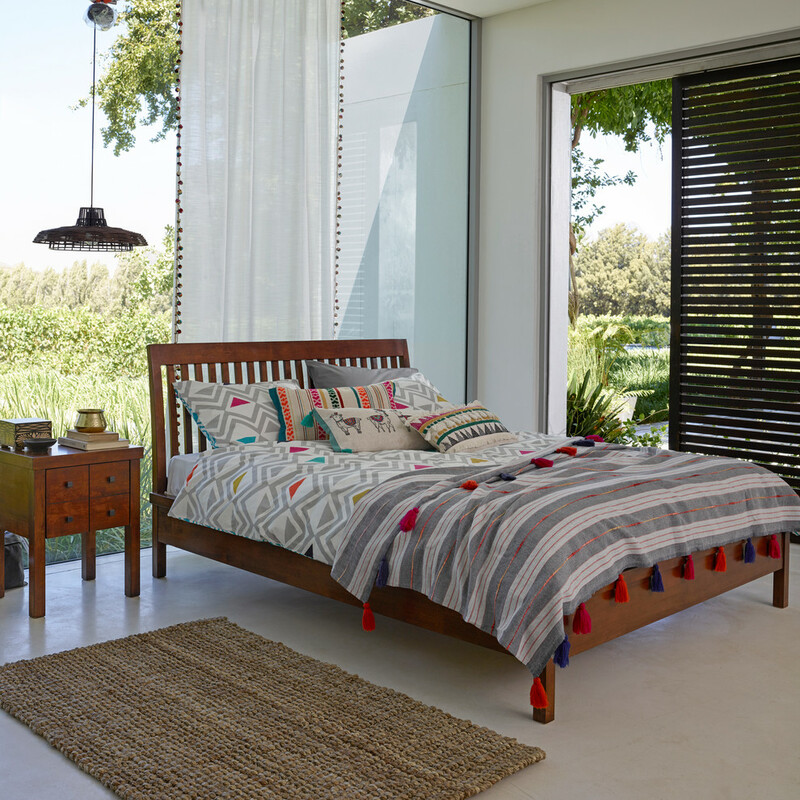 This design rom Emily Henderson feels both timeless and carefree ins spirit. 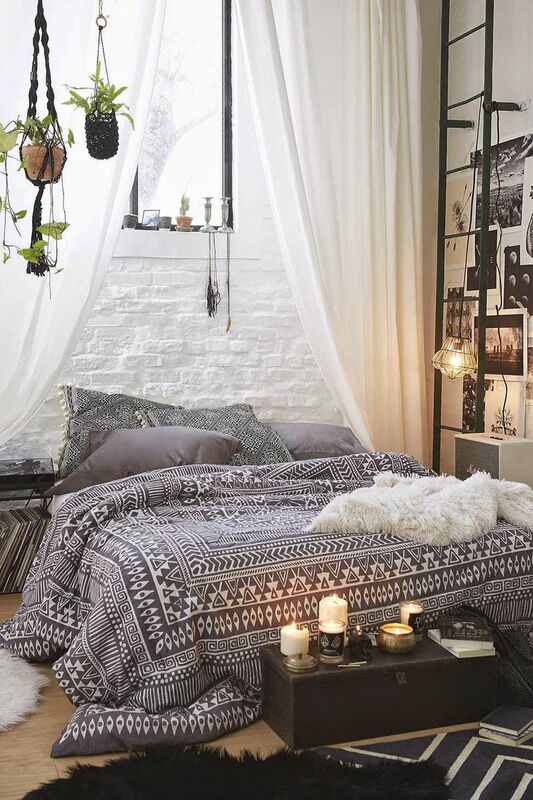 We love the printed walls and the neutral palette on the bed. 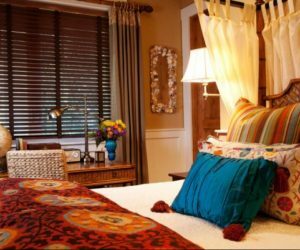 It makes for quite the relaxing and welcoming bedroom, don’t you think? 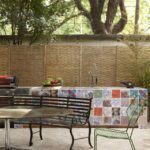 Paper To Stone created a space that’s filled with funky odds and ends that don’t quite mesh but still compliment each other. 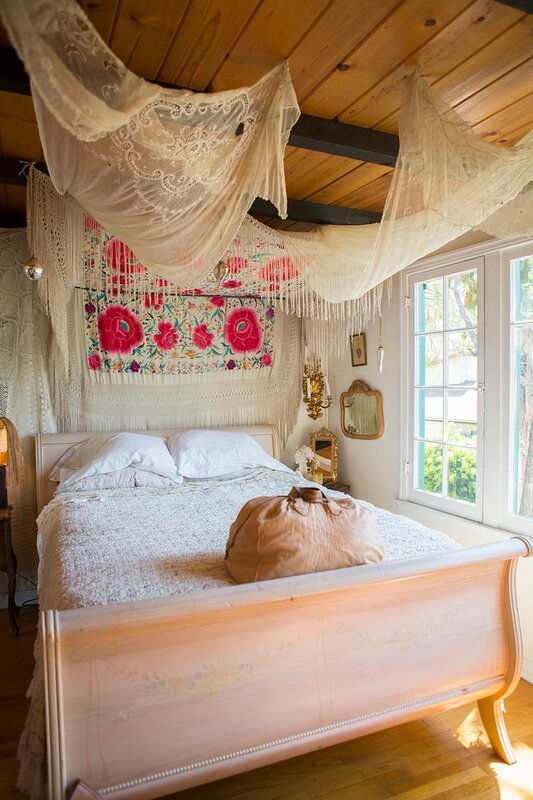 Photos on the wall, prints on the bed, a wooden headboard and a hanging chair filled with bright colors, it’s a boho lovers dream. 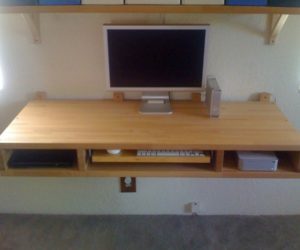 But we love how minimalistic the space is as well – too much clutter would take this look over-the-top. 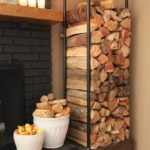 HGTV brings us this light and bright beauty. 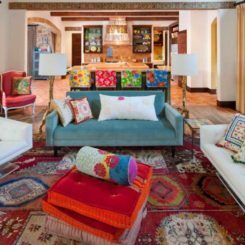 Filled with crisp, timeless colors, the details are what makes this such a gorgeous, bohemian example. 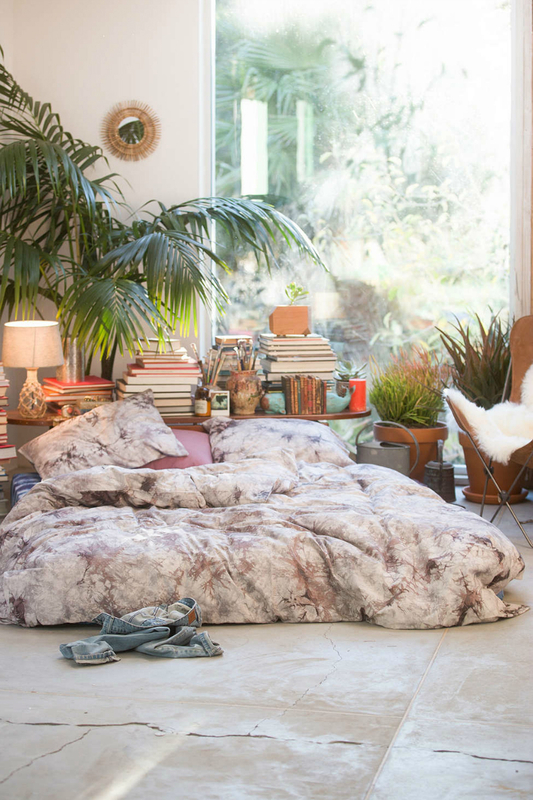 The textures and worldly prints pair and compliment seamlessly. 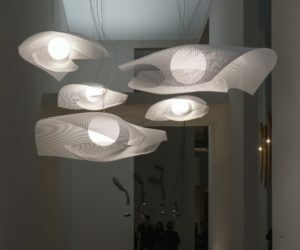 We love the meshing of styles here and how sophisticated you can create this kind of vision. 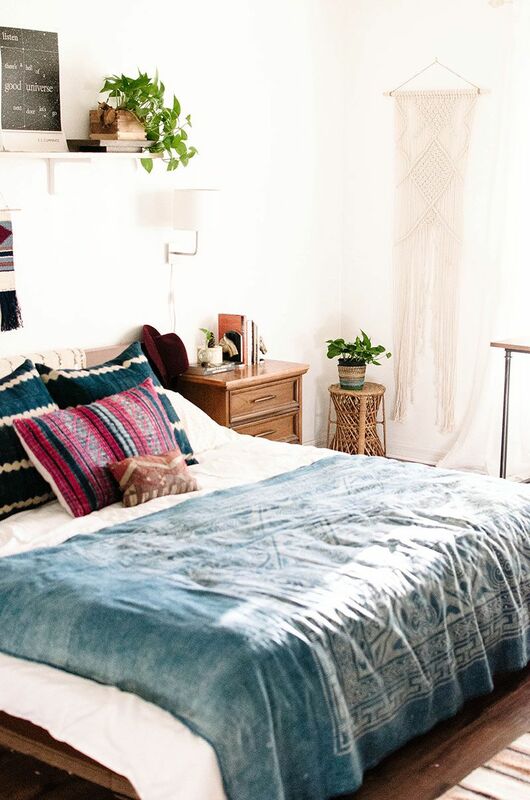 Life Unstyled served us up a beautiful bohemian bedroom filled with a lot of accents and details to swoon for. The focus may be around the fireplace but it’s the stunning mix of texture and print that give this space its personality. 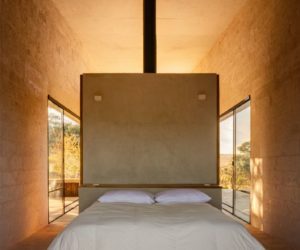 And the high ceilings that’s filled with natural sunlight is the topping on the cake. 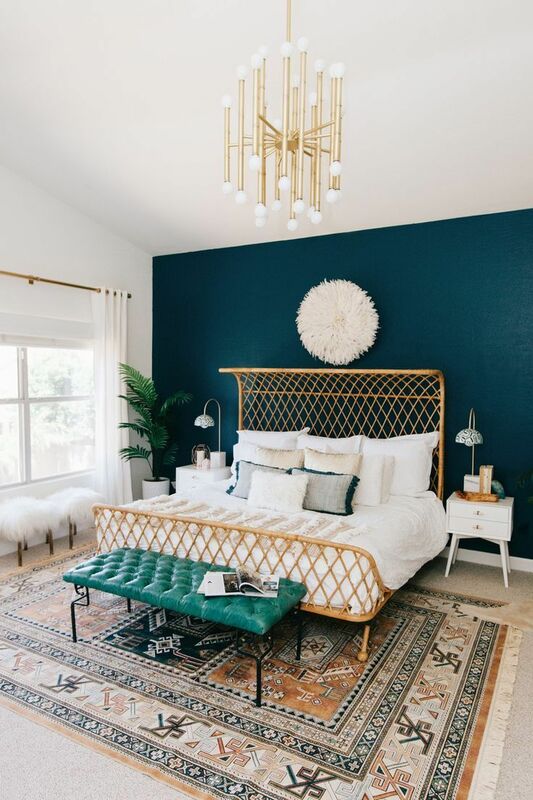 Boho vibes can be created around ultra modern chandeliers as well. 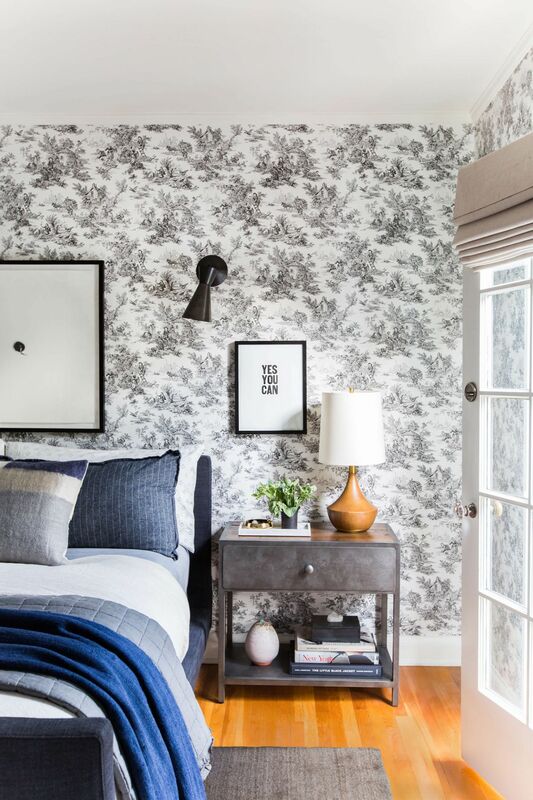 This dollop of contemporary style tops off this trendy and feminine room quite nicely. 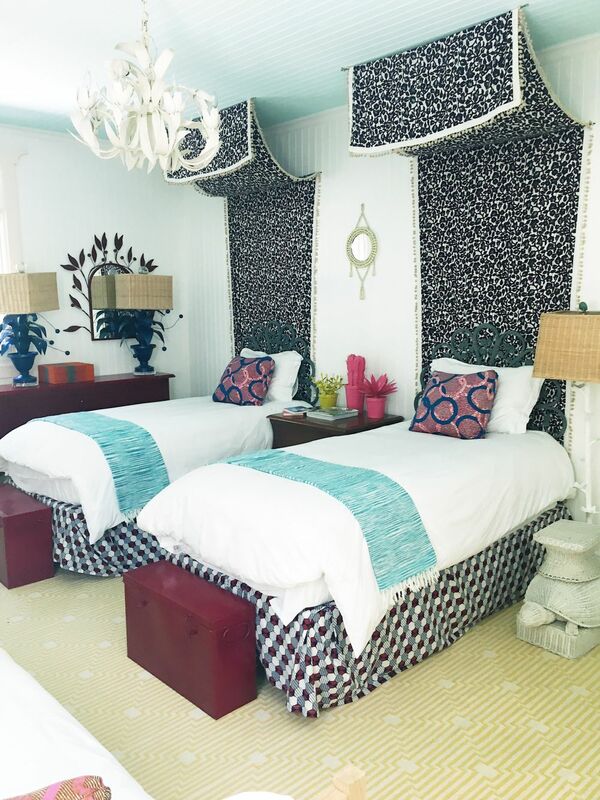 The colors, the textures and the subtle nod towards bohemian spirit makes this design from Nautically Prep one of our favorites. 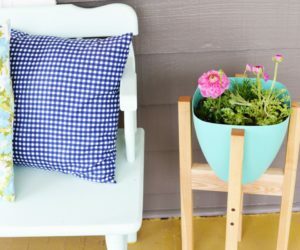 HGTV follows with a picture perfect boho nook that’s highlighted by a beautiful shade of blue. 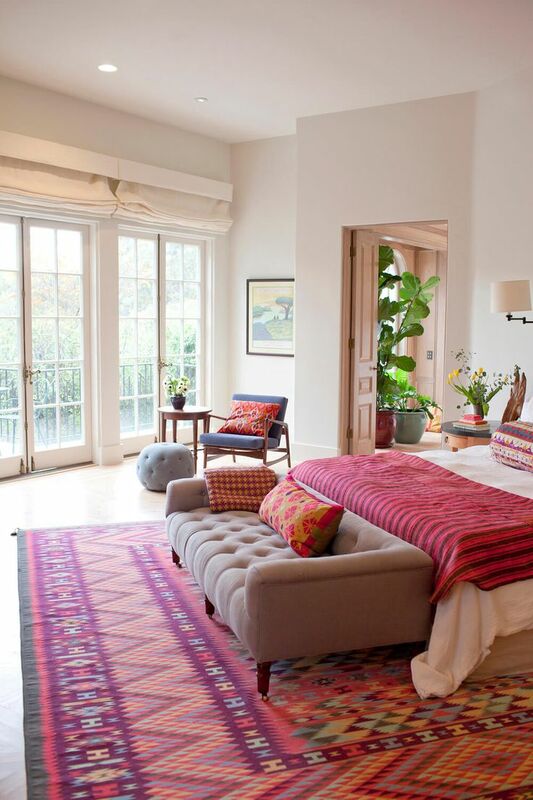 This space is especially cozy and welcoming to its guests. 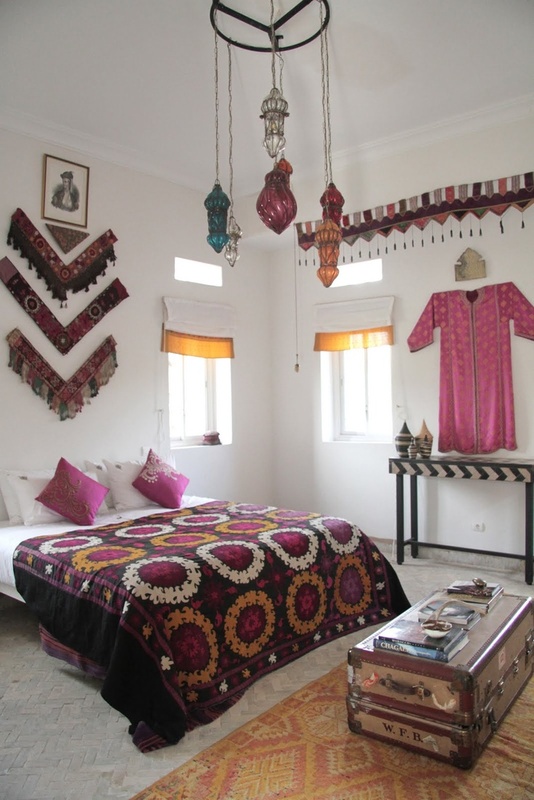 And that’s why it has made for such great inspiration when it comes to our guest bedrooms. 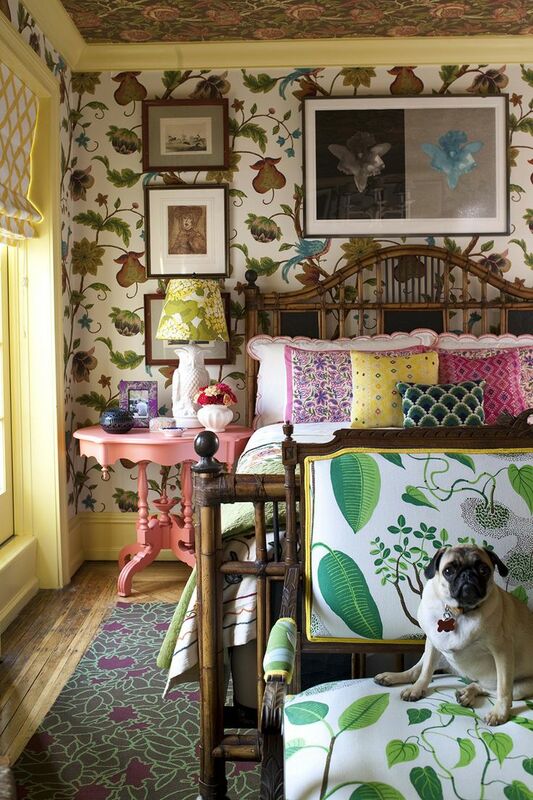 From the wallpaper to the chair, this bedroom is filled with funky floral prints. 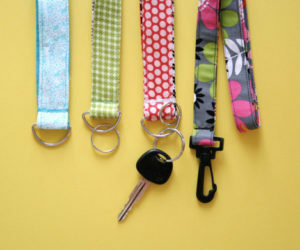 The mixing and matching bring in so much fun and vivacious personality. 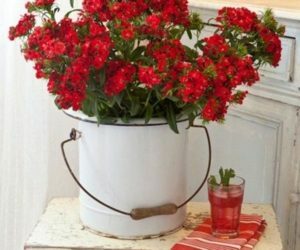 Adding ins one antique finds help create a more personalized, flea market vibe as well. 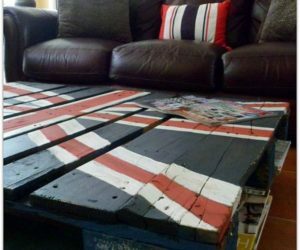 Take some pointers from this spirited space from Lonny! 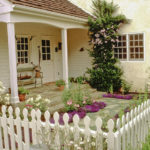 We’ve gushed about this spot before on Homedit. 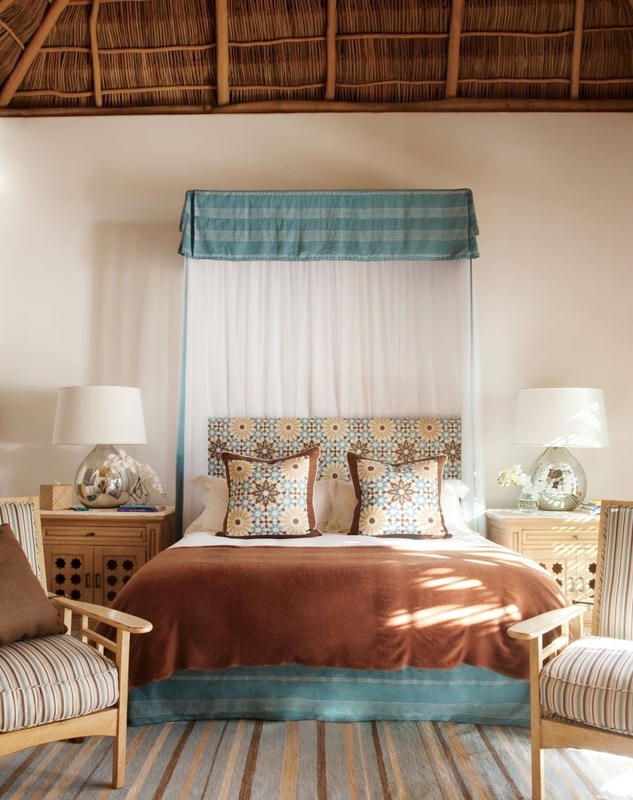 Easy blues and soft textures, this is definitely one of the more mellow and relaxing of spaces on our list. 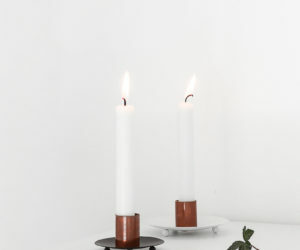 The wooden furniture rounds out the subtle finish. 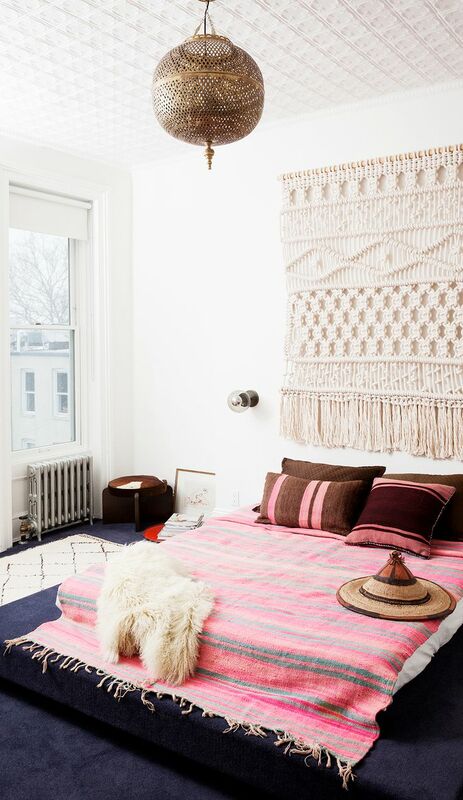 And that crocheted tapestry on the wall adds just the right amount of girlish charm. 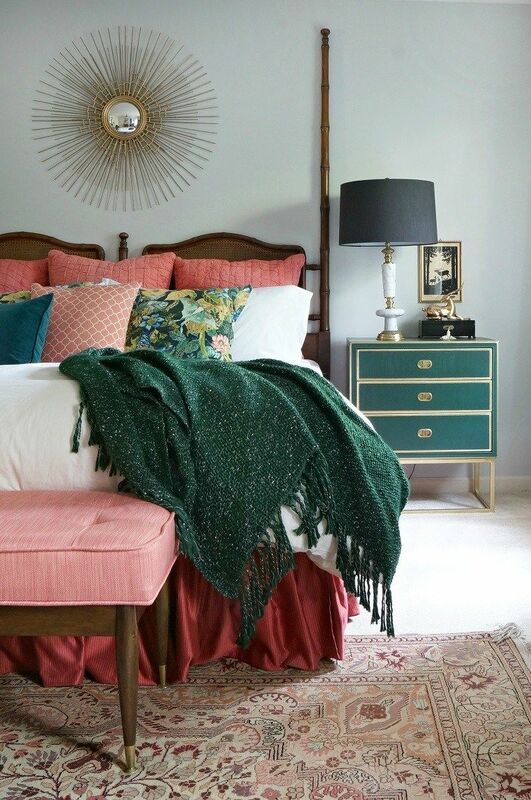 One of the most feminine on the list, we’re falling for this Dailydreamdecor find. 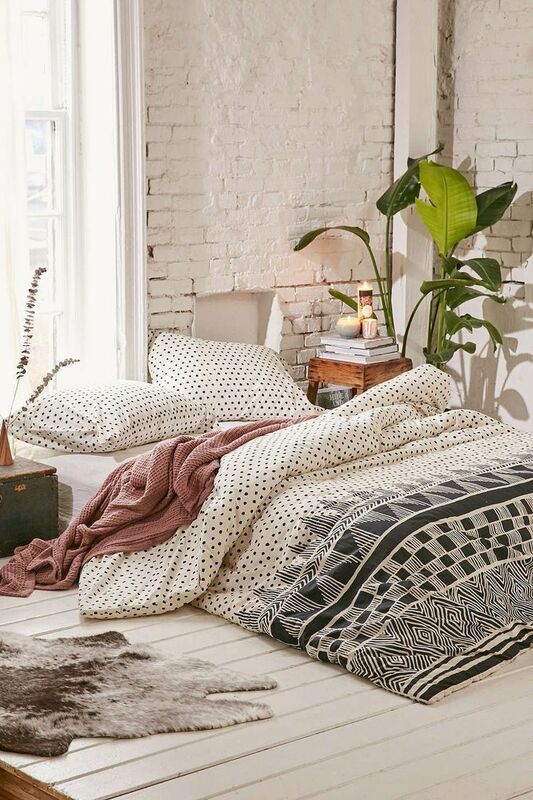 Polka Dots give flavor to the low and easy bed. Rose compliments the creamy colors while the fur rug and exposed bring brings in a more carefree, unpolished look to the rest of the room. 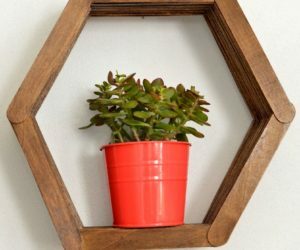 The smaller details can really be what brings a room to light. 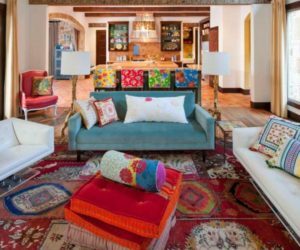 The accents here in this Interiors by Jacquin setup are purely bohemian. 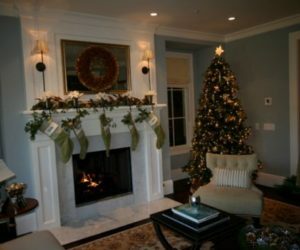 But that textured ceiling and blue carpet really bring the vision full circle. 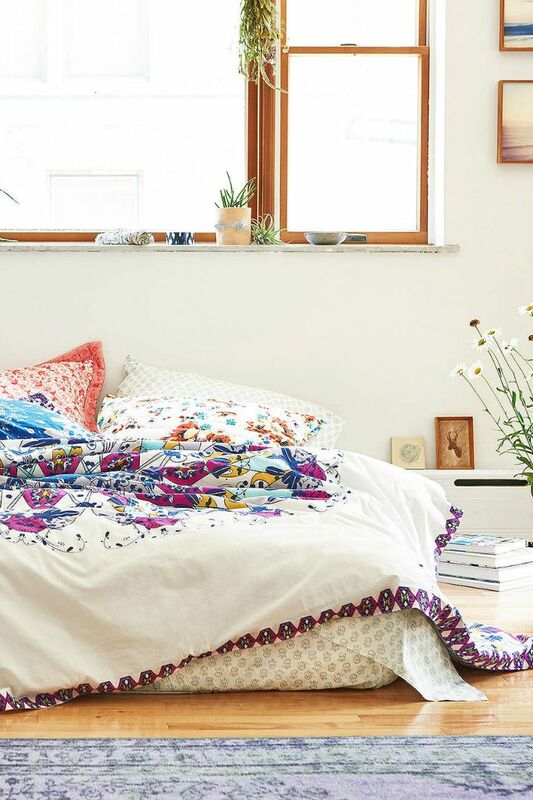 Even a bedroom for two can be dressed in boho tones. 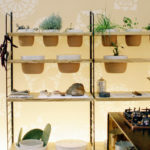 Again, we have a series of mixed prints and interesting artistic choices filling the corners. 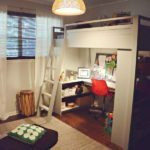 COCOCOZY easily inspires our kiddos’ room redesign with this one. 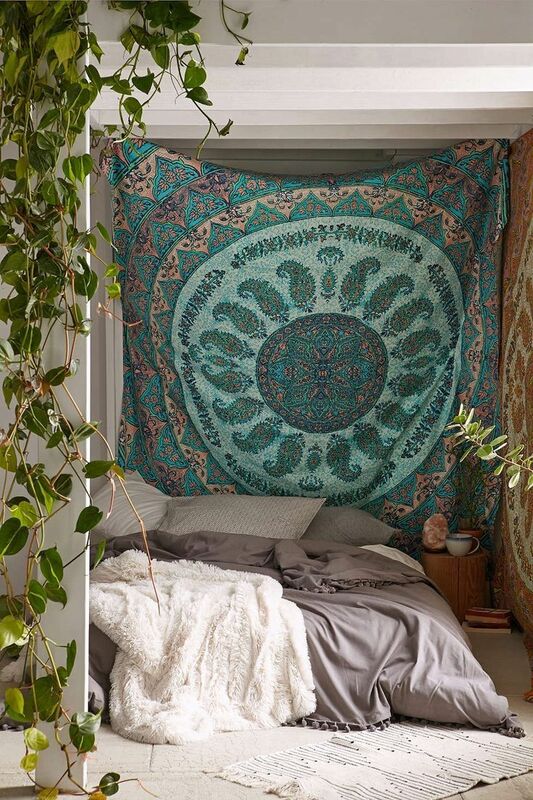 Fabric hanging from every inch of the space will help to add that easy, carefree spirit us bohemians love. 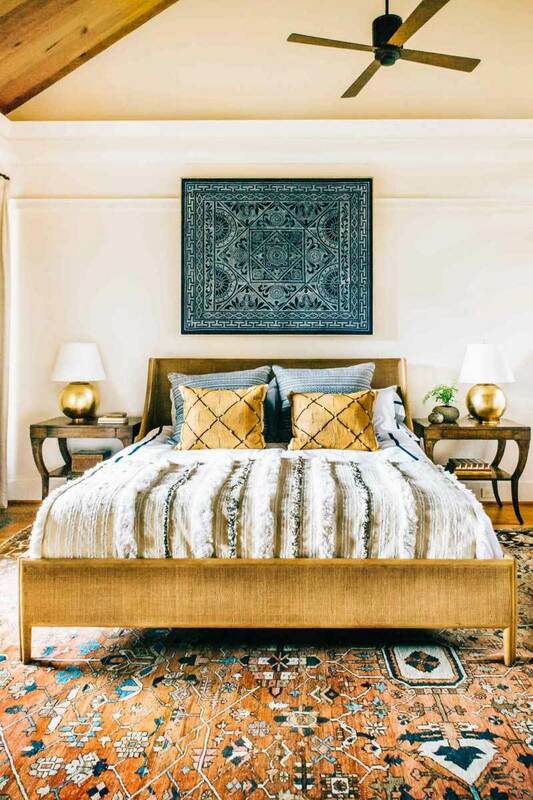 This fresh bedroom from Apartment Therapy has a revitalizing quality to it and although filled, it doesn’t seem cluttered or overwhelming at all. 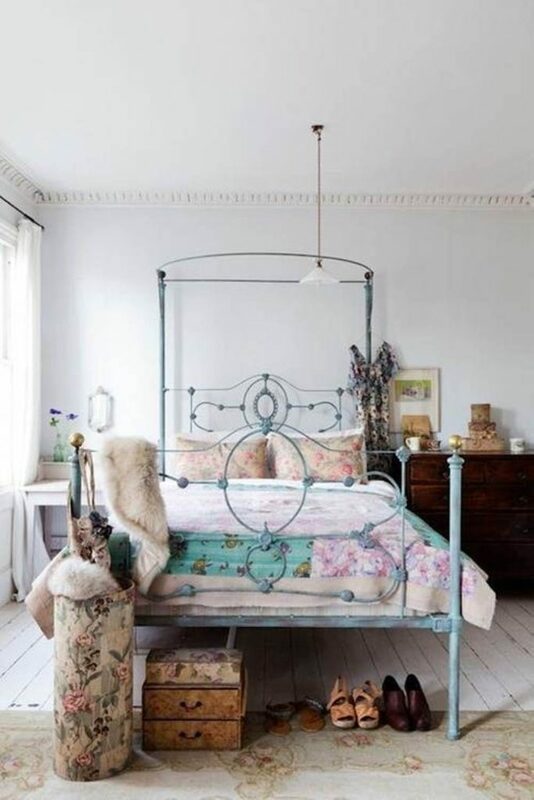 This gorgeous example from Royal Furnish shows us that bohemian style can be accomplished in the most simple of ways. 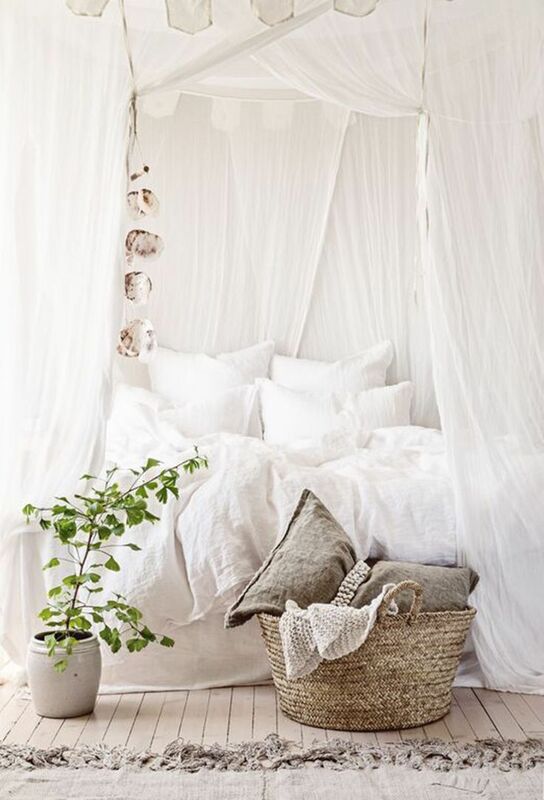 a beautiful neutral, plush fabrics and romantic elements like the canopy and fresh greens, it all comes together in such an easy way! 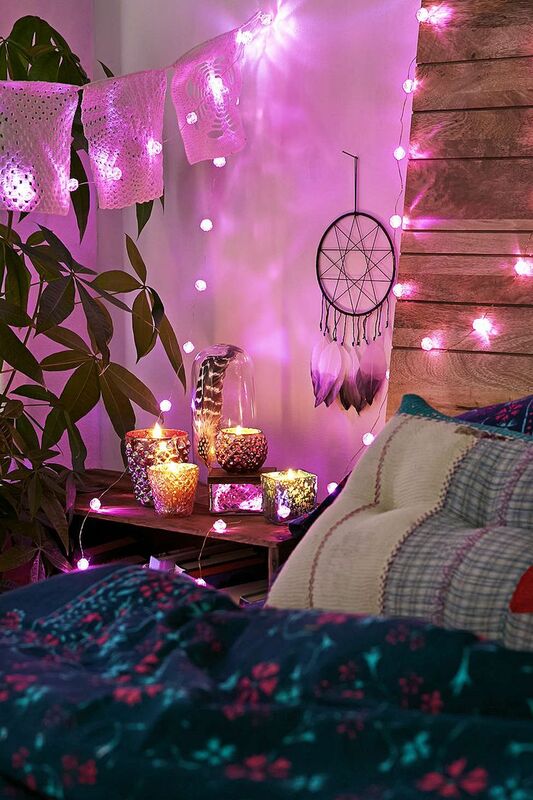 You don’t have to go all in with the boho vibes. 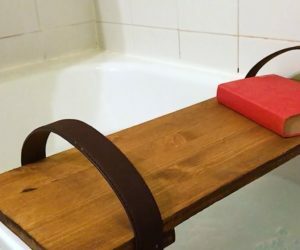 Instead just use touches to spruce up your more traditional space. 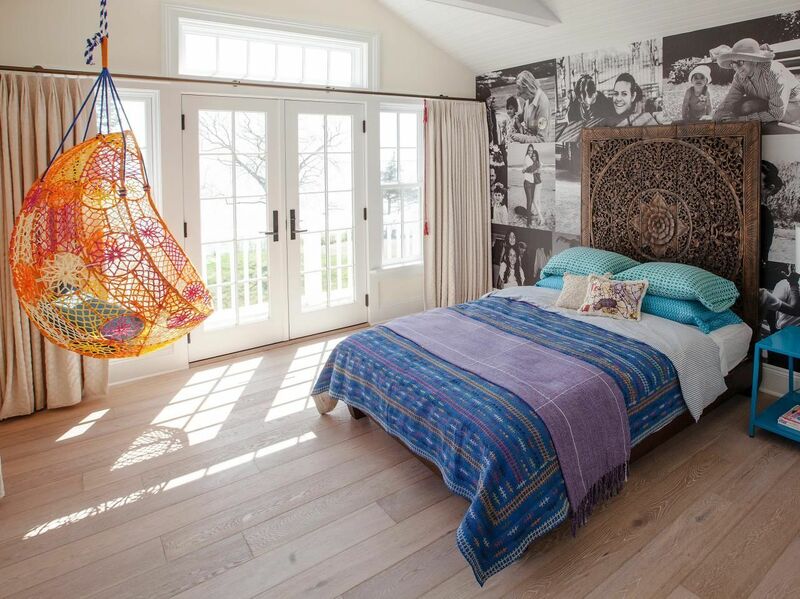 This bedroom is crisp and quaint but it have been personalized by a pop of funk in its print and exposed wood ceiling. 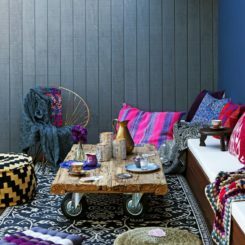 Combining contemporary style with bohemian flair doesn’t have to be frustrating or hard! 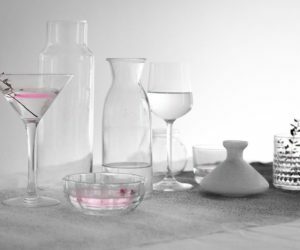 Just look at this design from Lonny, for example. Its golden hardware adds just the right amount of sophistication to the pattern-covered room. 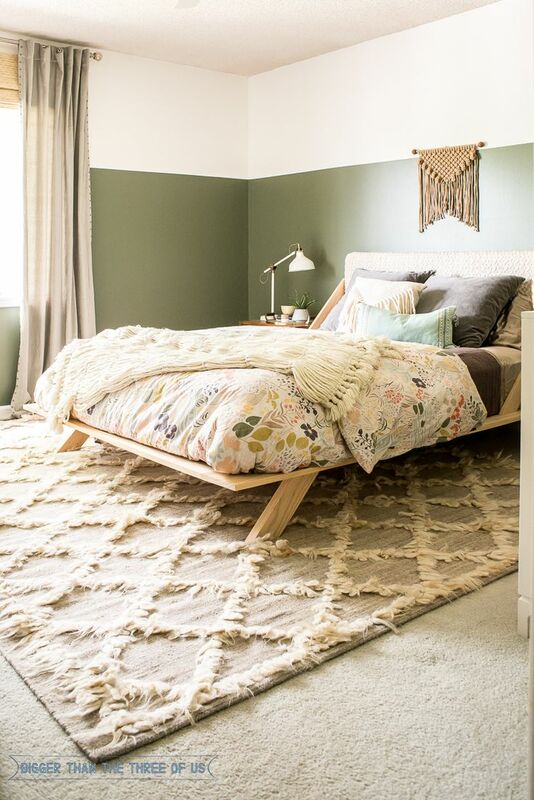 This patterned, shag rug has us falling in love and giving this offbeat, sage-covered room a fun foundation. 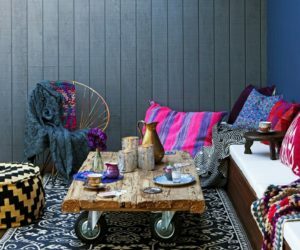 Bohemian in vision, this is definitely a simpler, more subdued take on the interior design genre.